The Golden Lion is a community country pub situated on the Durham/Cumbria/Northumberland border. The location is ideal if you're visiting the Pennines or travelling on the Whitehaven-Sunderland C2C cycle route. We are situated in a stunning location called Weardale, which is high in the North Pennines famously named the rooftop of England. It’s an area of outstanding natural beauty and is frequently visited by people on the White Haven-Sunderland C2C cycle route. 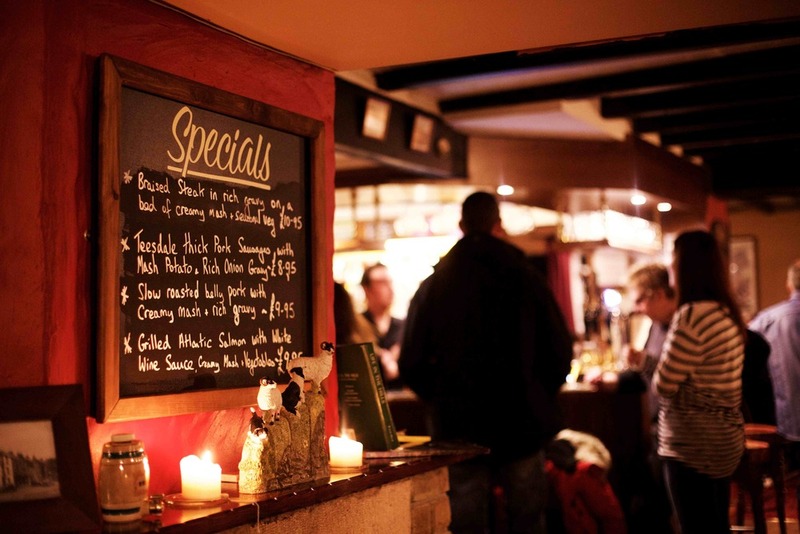 The pub itself is a beautiful free house country pub with an open fire and beamed ceilings, serving award winning cask ales and quality homemade food from locally sourced produce. We also have a pool table and dartboard in the bar area and free Wi-Fi. The Golden Lion is the perfect place to stay if you’re exploring the Durham Dales, Lake District or Northumberland. You can stay with us in our en suite accommodation B&B and bunkhouse. To see more about our accommodation click here. If you’re passing through then stop by for a drink and enjoy the breath taking surroundings, we hope to see you soon. Whether you're looking for a gourmet dining experience, in search of a cosy pub for a great lunch, or simply want to refuel after a busy day sightseeing, let the Taste Durham Awards mark guide you. The Taste Durham accreditation is awarded in recognition of consistently good service, comfort, cleanliness, quality of meal and in addition, championing of local produce. The Golden Lion is proud to have been awarded a Taste Durham Award. We pride ourselves in serving quality, fresh produce bursting with flavour.